ITRO is an international team of experts with years of practical experience in international trade. We have turned the knowledge gained on international markets into a set of efficient tools for promoting our clients on a global scale. ITRO team members dedicated to market perfectly speak in local language and have experience on this market or they are native speakers. ITRO making lots of international projects learn business culture and habits on local markets. ITRO company has more than 20 years in dealing with International trade and export consulting. One of the most effective tools of International growth is participation and attending Trade Show events all over the world. Short presentation about ITRO Co., Ltd. : Who are we? Where we work? What do we do? We belief that Trade Shows are the most effective tool for expansion into foreign markets. We delivery the highest level of promoting services with the special consideration for Polish, the CIS, and the European Union markets. Using Poland’s strategic location in Central Europe at the crossroads of two cultures and mentalities to build and develop business contacts and to build a bridge between the East and West. @ Consistency and commitment of Itro team resulted in the extension and expansion our cooperation for other European markets next edition trade show Kitchen & Bath 2017. @Accourding to our very positive experience during our cooperation we are happy to recommend ITRO Sp. z o.o. as a reliable partner. @CEO Mr. Sebastian Sadowski-Romanov provided relevant assistance... I would like to recommend Itro Co., Ltd. as reliable and trustworthy partner in penetrating foreign markets. Inbound marketing, digital marketing, direct marketing, social media marketing are more interesting and more effective for the recipient of the advertising message because we can interact with customers who can respond for our message content. We use global and local event promotion web pages, social media, industry media to show your event to a broad audience. Using the Internet any local event may become international. People are spending a few hours per day on social media portals such as Facebook, LinkedIn or other local social media web pages. It is one of the best tools to interact with them and show your presence. We prepare a Facebook event page and show your event on Facebook, connect it with your fanpage eg. KBC 2016 Kitchen & Bath China and promote your event using Facebook Ads. Most of the people look for information through web search tools as Google, Yandex, Yahoo engines search. We can prepare and manage your Internet and Social Media campaigns. We find the best industry media and give you a full report on advertising through this channel and manage your campaign in local languages. Why? It is one of the most important questions we should ask every time! On what markets can you promote my event? Why should I promote my event in a local language? When you choose the English language you may be sure that is a well known form many people speak, but most often people like to use their mother language first and only if they have to, another language. Communication in a local language is much more effective than using a foreign language. We have our own event web page why should we use others? Very often what is attractive for us is not so much in a foreign culture. That’s why it is better to build local language pages with local graphics and color designs. For example, white colors in China means mourning, while in Europe they signify a wedding. Our event is Business-2-Business not for end customers why should we use Social Media to promote the event for business clients? Social media is one of most popular media channels of our time. Now days people spend on social media more time than in any other channels. More of it we can communicate with people not only sending them information, but what promotions more effective. My name is Sebastian Sadowski-Romanov. I am a Chief of the ITRO Company. Let me present PROMOTION SOLUTIONS services designed for Trade Show Organizers to increase visibility of your event on global scale. We can advertise your Fair in Russian, Polish, Czech, German or English languages. Full information about how we can do it you will find in our PRESENTATION. Please let me know, if you will be interested to meet me in May-June ’17 in Beijing or Shanghai. Should you desire or require any clarifications, please don’t hesitate to contact me at the email or call at the below contact points. 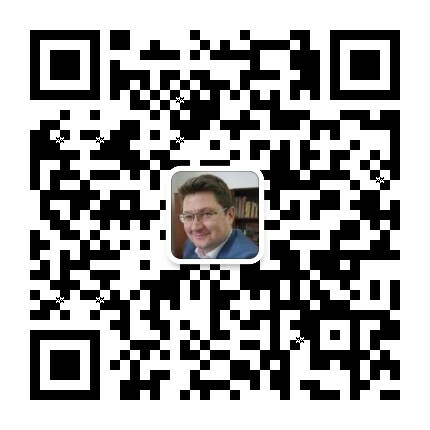 I’m on WeChat – add my ID Sadowski-Romanov or scan the QR code to connect with me. Price of packages are calculated for one foreign language and one Trade Show. We can promote your event in Russian, Polish, English, German, Spanish, Czech and Portuguese. Using the Russian language, we promote you in Russia, Ukraine, Belarus, Kazakh and other CEE markets. Using the German language we communicate with Germans and Austrians. Spanish language is used by almost 650 million people as mother language. Are you interested in our paid plans? With 1,861 exhibitors from over 52 countries and 134,500 visits from 81states and regions in 2017, the CILF is a practical platform for industrial players and buyers from worldwide to network face2face, as well as share the latest trends and news. CILF2018 will be held on Oct.11-13, 2018 in Shenzhen Convention & Exhibition Center. The most simple way to lunch your global promotion.